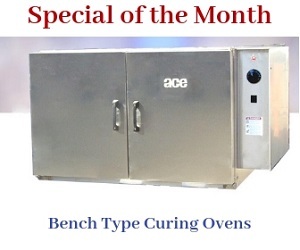 We at ACE, stock an extensive assortment of spare parts and accessories for all models of burn off ovens. These spare parts and accessories are suitable for universal heat cleaning ovens. All these products are designedly created to enhance the performance of burn off ovens and improve the user’s experience. Hence, these must have accessories will definitely make your heat cleaning job effortless and productive than ever. For instance, the One Touch Control (OTC), a one of its kind intelligent control and monitoring system. The best thing about OTC is that is does not require an experienced operator to operate the burn off oven. Even a novice can simply turn on the oven by touching the start button, and the OTC will take care of the work for any size load. This helps prevent operator error, as OTC does not require the operator to make any decisions. The OTC also takes care of the safety with its “sixth sense”. Honeywell Keyboard Display Module etc. All these products have been created keeping in mind the emerging needs of the industry. Originally heat cleaning of parts is considered to be an extremely mechanical and exhausting process. Therefore, with an intent to simplify and automatize the process, the ACE Equipment Company has brought forward these ingenious burn off ovens accessories and parts. Below is the complete list and detailed information regarding accessories offered by ACE. You can speak to our engineers to know how these parts can assist you and improve the entire process. To get a quote and buy the accessories, call at 800-255-1241, or email your enquiries at sheran@armaturecoil.com.